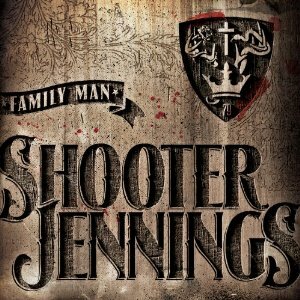 Hall of the Mountain King: Review: Shooter Jennings, "Family Man"
A concept album of sorts, every song has something to do with family, and it starts off very strong with one of its best tunes, “The Real Me.” In the early going, it sounds quite a bit like something his dad would have recorded with a thumping bass line and a tough, but quiet guitar piece. Then it begins to build into a frantic hook of a chorus that’s pure Shooter and addictive as all hell. 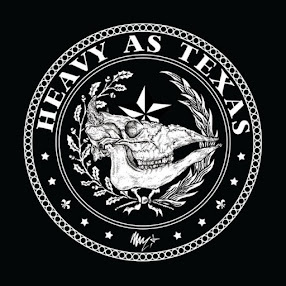 Toward the end of the song, the Southern rock breaks out with that chorus growing in intensity and backed up by some pounding drums from Tony Leone, and it’s a fantastic way to kick off this record. A little more rock creeps in on second song “The Long Road Ahead” which has maybe a little Tom Petty in it. He’s joined on the chorus by Eleanor Whitmore, giving it a little more twang. It’s another great, memorable song, even though the noisy guitar solo from Rage Against the Machine’s Tom Morello seems out of place. That leads into first single “The Deed and the Dollar,” a love song to his fiancee and mother of his two children, actress Drea de Matteo of “Sopranos” fame. It’s a good song as dedications to loved ones go, but it’s also not my favorite. That would be the fourth song, “Manifesto No. 4.” The manifesto songs are always fun, though I wonder what happened to “Manifesto No. 3,” since we skipped from “No. 2” on Electric Rodeo to “No. 4” here. This one opens with a bass drum beat as Shooter harmonizes with some female singers asking, “There’s one thing Jesus, if you don’t mind, turn my water to wine.” It’s a nice little piece of country-rock soul with a fantastic chorus and a mix of seriousness and fun, a little irreverent, but a little spiritual at the same time. It really hits that sweet spot in Shooter’s repertoire. I wish he’d do more stuff like this. It’s where he’s at his best. “Summer Dreams (Al’s Song)” rounds out the first half of the record with another very soulful performance, and so far, Family Man is 5-for-5. The second half of the record, though, is a little more of a mixed bag, starting with “Southern Family Anthem,” which was originally released on the Southern Independent, Vol. 2 compilation last year. It confused me there, and confuses me even more here. Musically, it’s a great Southern rock number. There’s a big, nasty groove, and the “we may be trash, but we’re a family” battle cry on the chorus could certainly work — if it weren’t for the rest of the lyrics. I said in my review of Southern Independent that the song, which trots out a litany of negative Southern stereotypes, seemed to undermine what he was trying to do with that record. It also undermines what he’s trying to do with this one. I’m incredibly torn on it, because I love the song, but it’s hard to get behind what he’s saying. I have no such problems with “Daddy’s Hands,” which is the gem of the second half. It’s a song that could easily have gone sappy, as songs like this tend to do. But it doesn’t. Instead, it’s a poignant number, but not dreadfully as serious as the subject matter might take it. It still retains a sense of fun. The final three songs are an interesting trio. “Black Dog” is a dark, story-telling song that seems a little awkward on an album filled with smooth melodies and nice hooks. It’s the kind of song that I can see growing on me with time, but at the moment, I think it’s the weakest piece here. “Family Tree” is a fun, jaunty honky-tonk tune that plays somewhere between Willie Nelson and Hank Williams Jr. It’s great fun, but doesn’t have the impact of some of the other tunes. And he ends things kind of strangely on a somber note with “Born Again,” which sees Whitmore return to harmonize with Jennings on the chorus. Toward the end, though, the song builds to something closer to Black Ribbons, which seems a strange way to end his return to country. The biggest disappointment for me was the exclusion of the single “Outlaw You,” which Jennings released last fall. Apparently the song was intended to be a stand-alone single, and admittedly it wouldn’t have fit well with the theme, but I miss it. Word is, though, that there’s a second country record slated for release later this year. Maybe we’ll get it there. All in all, Shooter’s return to country is a rousing success. There are songs that I have some questions about, but there’s not one that I truly dislike, and tracks like “The Real Me,” “Manifesto No. 4” and “Daddy’s Hands” are some of the best that he’s ever recorded. For me, Family Man is easily his best since personal fave Electric Rodeo.